Commercial property owners prefer trenchless pipe replacement (or repair) because it allow us to fix pipes without digging up landscaping, sidewalks, or parking lots. It is done using technologies that allow for replacement, rehabilitation, renovation, repair, inspection, or location and leak detection with minimum-to-no excavation from the ground level. Using trenchless technologies to repair or replace sewer and water pipes saves time and money and helps property owners avoid costly restoration. We can use sewer line video inspections [link] to diagnose problems and come up with effective solutions. 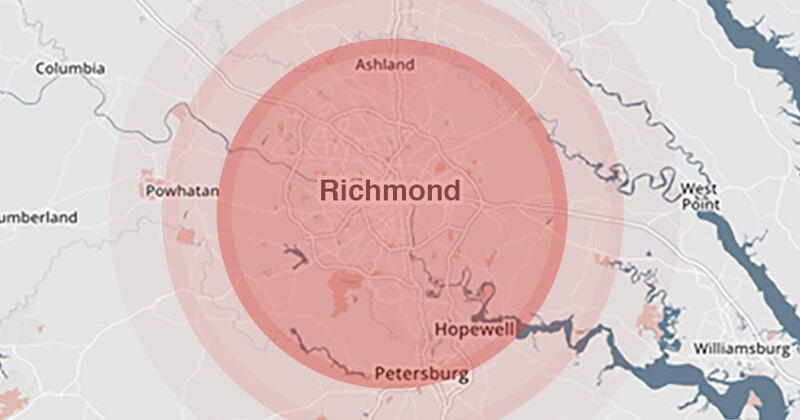 Since the mid 1990’s, Lyttle Utilities, Inc. has researched and implemented proprietary trenchless technologies making us one of the leaders in the Richmond, VA region. We specialize in a variety of trenchless pipe services ranging from full pipe replacement to strategic point pipe repair. No matter the job size, Lyttle has the means to get the job done. Tested, proven and perfected to stringent standards in residential and commercial applications throughout the world for more than 15 years, only MaxLiner® offers a completely comprehensive solution for relining lateral pipelines. With the MaxLiner System, you can deliver results that are more effective than the traditional dig-and-replace method of repairing broken, cracked and leaking pipes,without the disruption of digging up yards, sidewalks, or damaging interior walls. The Top Hat System was invented by the Austrian based company Cosmic Sonderma­schinenbau GmbH. Cosmic has been on the forefront of trenchless technologies for over 20 years and holds numerous european and international patents. Stephen’s Technologies Newline Liner System is a Cured-In-Place Segmental Point Repair System which is proven low cost alternative to whole pipe relining. This system is easy to install with no need to enter a manhole. It adheres to the host pipe. Flow thru installation means no bypass pumping. Liners are available for pipes with diameters from 6 to 54 inches. Lyttle Utilities has specialized in pipe bursting since 1996. Pipe bursting is the mechanical replacement and upsizing of existing pipes through trenchless means.Pipe bursting stays true to the trenchless pipe replacement agenda by minimizing ground disturbance. There is no need for a traditional continuous trench dig and manual pipe laying; only entry and exit points to pipe access are required. These points are typically small launching and receiving pits. These pits allow for the pulling of the new pipe through the existing pipe without breaking ground along the full distance of pipe. Lyttle can also perform slip lining. Slip lining is putting a smaller diameter pipe inside a slightly larger one and then the annular space is filled with flowable fill grout. Slip lining is the true original staple of the trenchless world dating back to the 1940’s. The benefits of using trenchless technologies for commercial properties include a faster, less costly alternative to regular excavation work, less disruption to the property, and less restoration work after the fact. We also offer our “no dig” pipe repair services [link] to residential customers. Call Lyttle Utilities at 804.232.6774 to learn more about trenchless pipe services and how we can replace or repair sewer and water pipes with minimal digging. Our helpful staff is available Monday-Friday, 8am to 4:30pm to speak with you about your needs and schedule an appointment.